Plastic Logic was founded in 2000 as a spin-off from Cambridge University, to develop OTFT backplanes for displays. The company mostly focus on e-paper (E Ink) displays, but it is also involved with OLED displays. In 2011 Plastic Logic received a major investment from Russia's RUSNANO fund, and the company setup a manufacturing plant in Dresden, Germany. In February 2015 Plastic Logic spun-off FlexEnable to handle technology development and licensing, and is currently developing and manufacturing flexible OTFT-based EPD (E Ink) displays. This glass-free display is still a prototype (as you can see there are many defects) - but it's a great demonstration of a truly flexible display. It operates at 60Hz and is only 125 microns thick. The UK launched a new project called Gravia that aims to investigate the feasibility of producing graphene-based encapsulation films for next generation flexible OLED lighting and display products. The Gravia project is a 12-month effort, and the partners in the project expect to deliver a feasible material and process system by the project's end. Drawing on the unique properties of graphene, 'Gravia' will aim to achieve barrier materials that are not only flexible, but also transparent, robust, and very impervious to many molecules. FlexEnable and Chunghwa Picture Tube (CPT) demonstrate an OTFT full-color flexible AMOLED display manufactured by using FlexEnable's low-temperature process and CPT's RGB OLED technology. The glass-free prototype display (which you can see above) is a full-color AMOLED that operates at 60Hz and is only 125 microns thick. This is a great achievement, but it's not clear whether CPT aims to commercialize such displays any time soon. 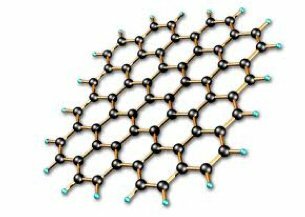 FlexEnable (which was spun-off from Plastic Logic in February 2015) has joined the Graphene Flagship, the European $1 billion graphene research project. Last year Plastic Logic demonstrated the world's first display based on a graphene backplane (a 150-PPI active-matrix E Ink panel), and now we have some more details on the company's graphene OTFT goals. That 2014 E Ink display used graphene as a transparent electrode. FlexEnable is still developing the technology, and now wants to use it in OLED displays and organic LCDs. Merck and FlexEnable (which was spun-off from Plastic Logic just last week to take over all OTFT development) announced a new partnership to develop plastic-based LCD technology. The two companies say that plastic-based LCDs enables conformal (maybe bendable), light and unbreakable LCDs. Those new displays will be based on FlexEnable's OTFT backplanes. The two companies report that they are in fact already collaborating and have reached an important milestone towards plastic LCDs and have developed a prototype in a very short timeframe. The IPS demonstrate combines the OFTF array with Merck's LC and organic semiconductor materials. 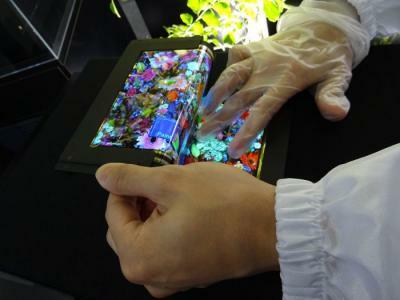 A UK-based star-up called R&D Core developed a new touch-display technology that is especially suited for flexible display. The company is collaborating with Plastic Logic to test the new technology. R&D Core's Digital Resistive Area Sensing (DRAS) is placed behind the display and responds to pressure. This has several advantages - it works with insulating materials (such as globes), it is less prone to breakage and it is more suitable for flexible displays. Last year we reported on similar technology from Peratech. In June 2013, Cambridge University and Plastic Logic announced a research collaboration that aimed to develop transparent graphene-based backplanes for flexible displays. Now, following this collaboration, Plastic Logic demonstrated the world's first flexible display that uses a graphene backplane. The first prototype is a 150 PPI active-matrix E Ink display, in which the electrodes were made from solution-processed graphene (patterned after deposition) in a low-temperature (less than 100 degrees Celsius) process. The UK Technology Strategy Board recently gave a grant towards this research, with an aim to develop full-color OLED displays within the next 12 months. A couple of months ago, Plastic Logic showed a monochrome (256 gray levels) 4" 360x128 (95 PPI) flexible AMOLED prototype. This is a fully-organic AMOLED panel that uses Plastic Logic's flexible OTFT backplane. Now the company published the somewhat annoying video you see above that details the company's OLED efforts and business development goals. 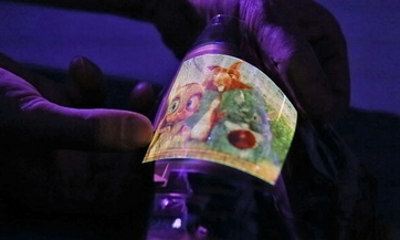 During the video they also show the flexible AMOLED in action. Back in February, Plastic Logic and Novaled (owned by Samsung) announced that throughout 2014 they will demonstrate truly flexible, plastic, full-organic AMOLED displays. The first demo in February was of a monochrome (red) display - and actually it was only shown on a presentation slide. But Plastic Logic promised us that they will show better prototypes as the year progresses. 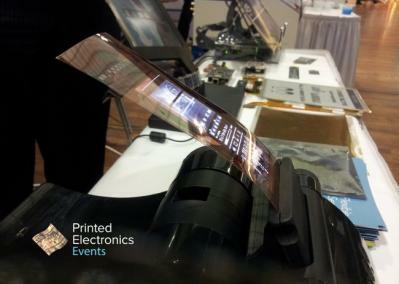 True to their word, last week, at the Printed Electronics Europe event, plastic logic showed a monochrome 4" 360x128 (95 PPI) flexible AMOLED prototype. This time it was a real demo, as you can see from the photo above. This full-organic AMOLED panel uses Plastic Logic's flexible OTFT backplane and the whole panel can be bent and rolled and still show the image.